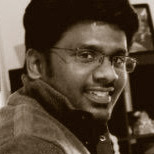 Satish Sathiyavageswaran is a Corporate Systems Engineer for HP Big Data Platform. He has been with HP Software for more than 6 years. His primary focus is on all HP Vertica SQL on Hadoop integration activities. In this webcast, learn how HP has taken the robust and complete Vertica query engine and opened it up to the Hadoop world.